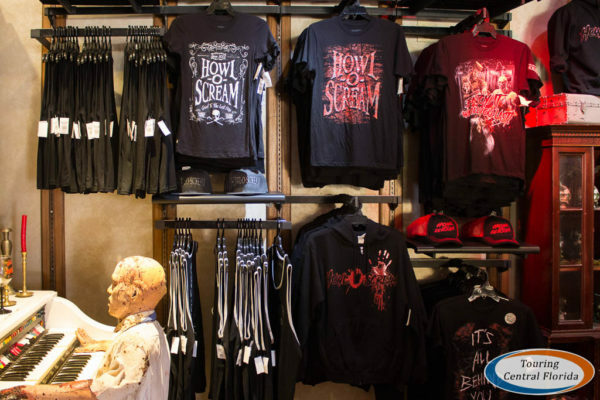 For Howl-O-Scream fans, it’s the most wonderful time of the year – the event is about to begin and Shop of Horrors is now open at Busch Gardens Tampa Bay. 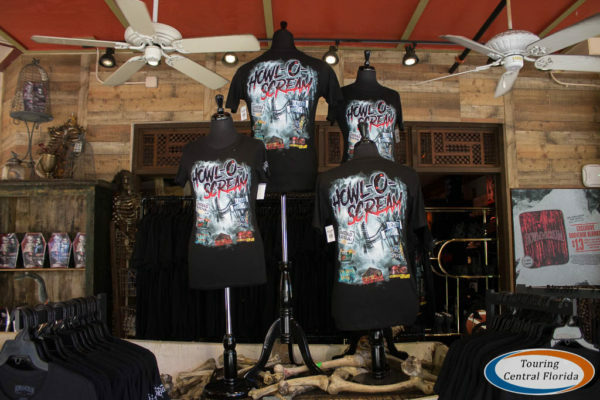 Haunt fans can pick up new Howl-O-Scream apparel, along with a variety of Halloween themed decor. 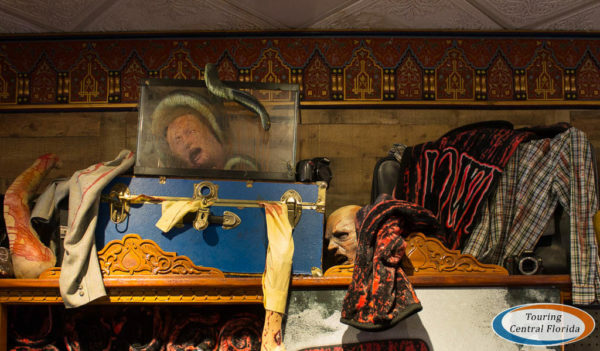 The shop is located inside Marrakesh Market, which is in the Morocco section of the park just inside the park entrance. 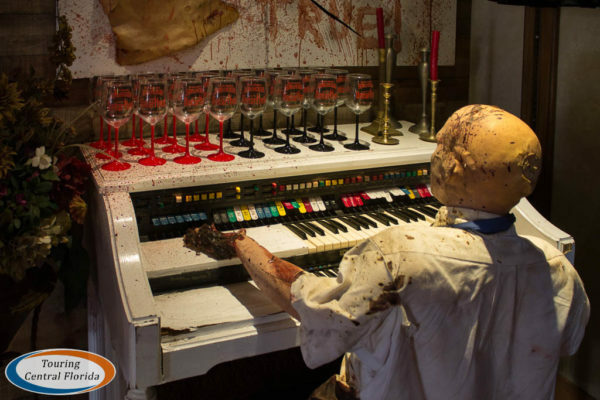 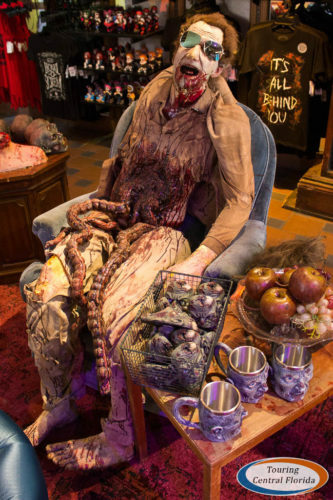 Shop of Horrors features some theming along with all of the products available for purchase. 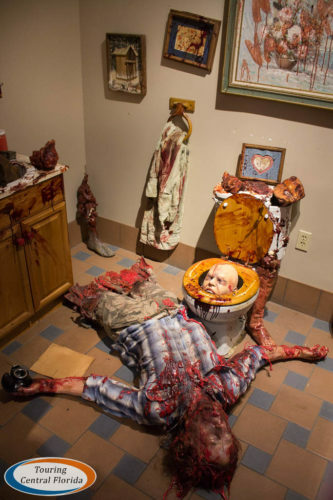 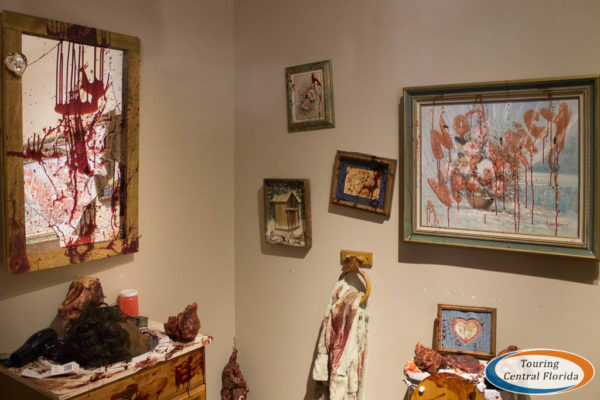 This season, the store is set up to resemble the interior of a motel or home, complete with a seating area, small electric organ, various pieces of furniture & decor, and even a rather grotesque bathroom. 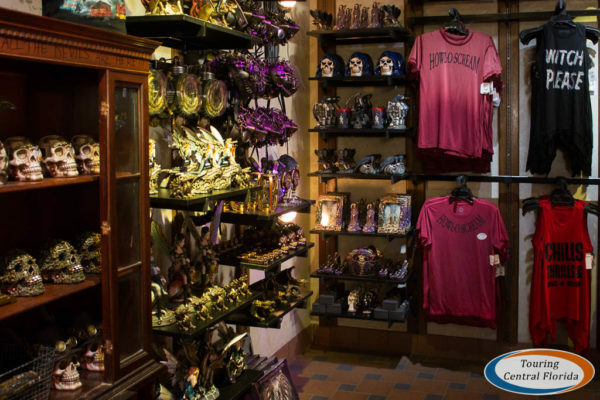 The main focus, of course, is all of the souvenirs available for purchase. 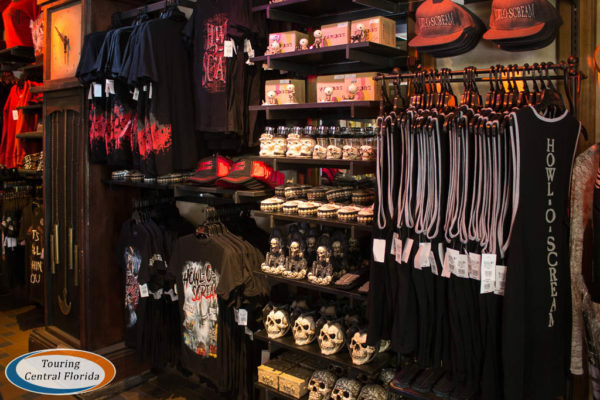 There is a large variety of shirts, hats, and other souvenir items with Howl-O-Scream branding, including several new pieces for this season, plus some items featuring past event icons and themes. 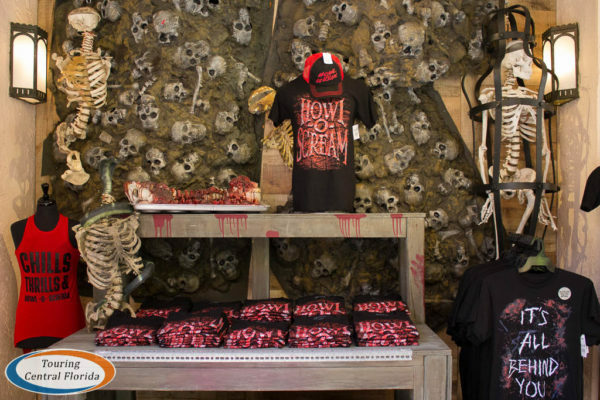 This year’s houses shirt is available in both a unisex and women’s cut, and is $21.95. 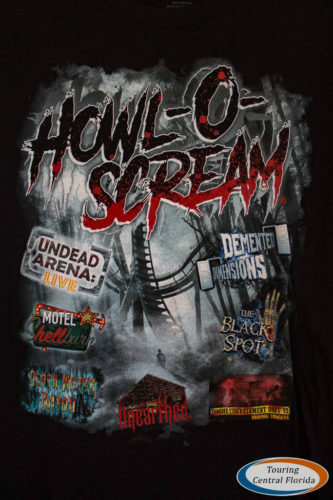 There’s also a shirt that features the “icons” from this season. 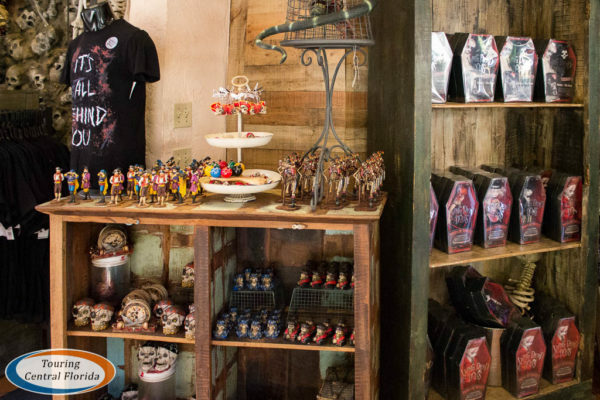 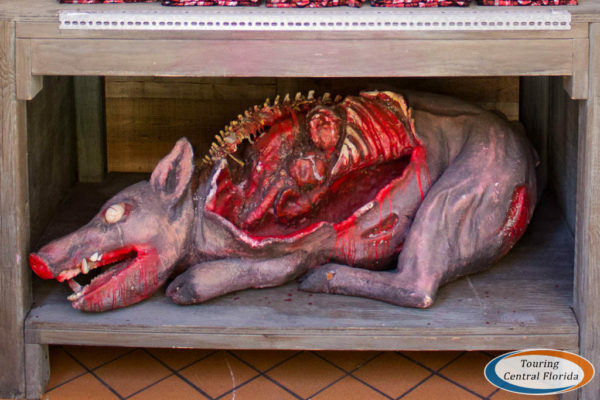 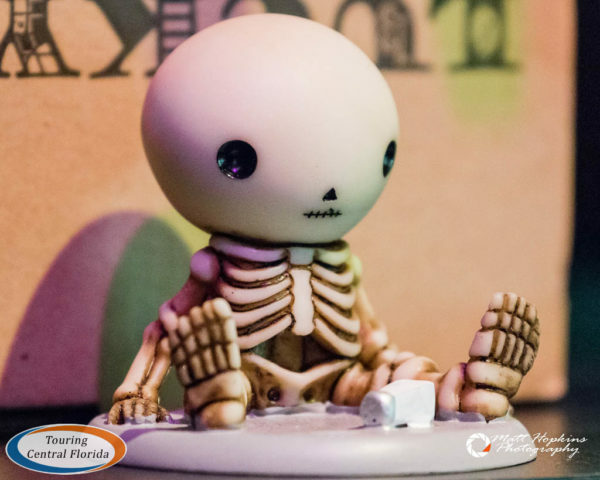 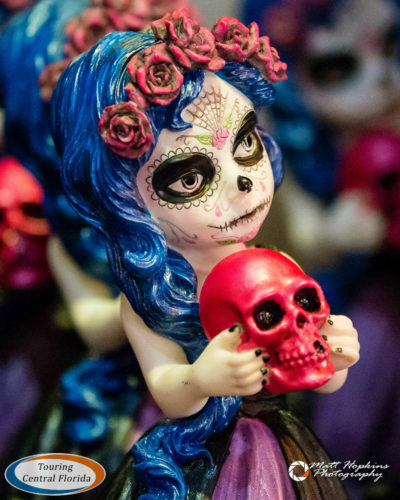 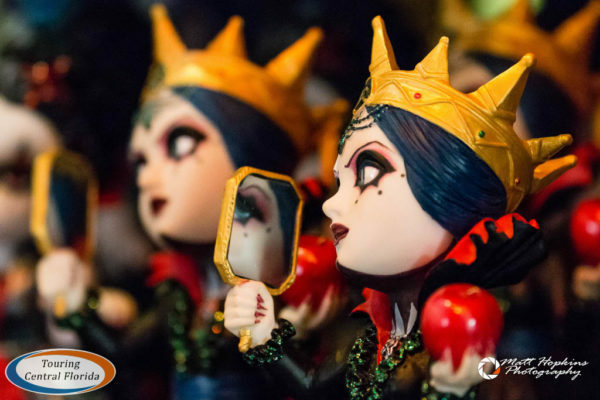 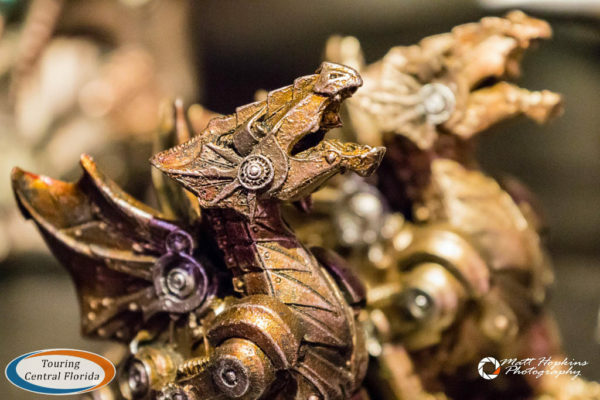 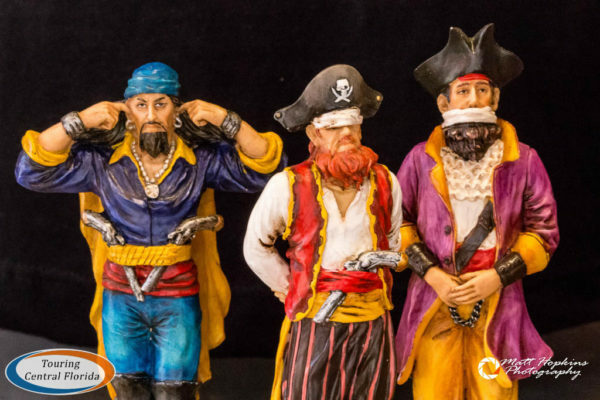 In addition to the variety of Howl-O-Scream branded items, there are also other Halloween themed items for sale, mostly decor in the form of figurines. 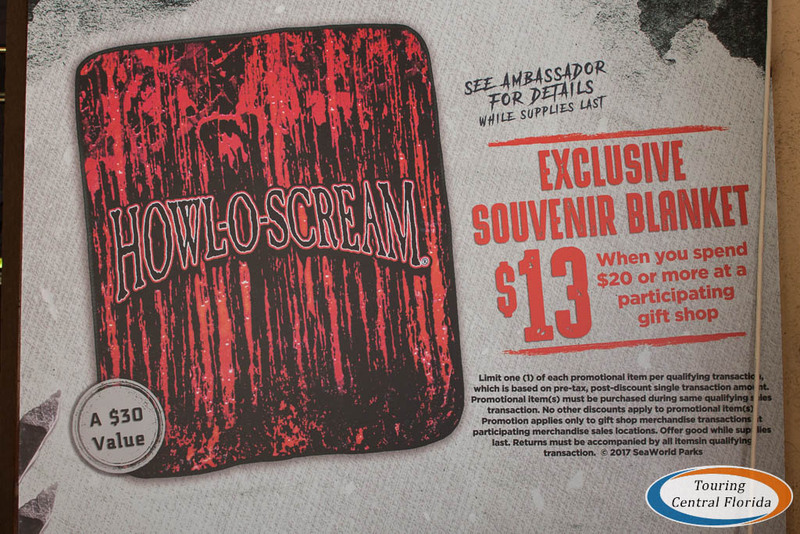 There is also a special offer for guests, where you can purchase an exclusive Howl-O-Scream blanket for $13 (a $30 value) when you purchase an additional $20 in merchandise. 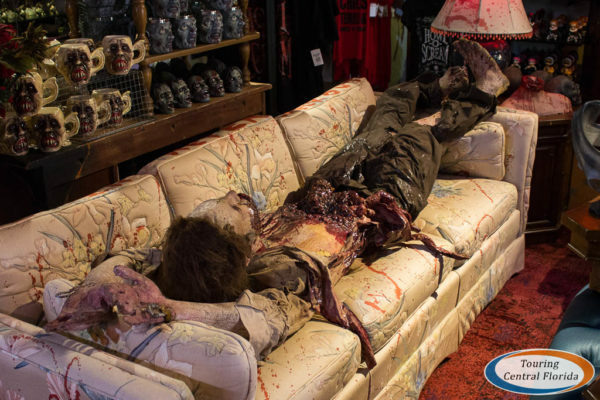 The offer has some restrictions, and is while supplies last. 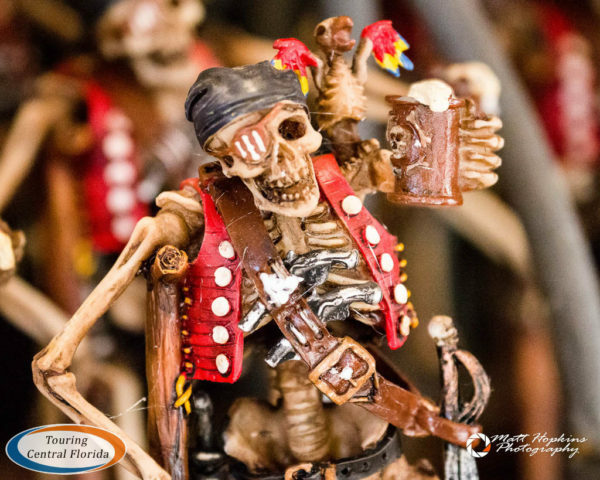 Howl-O-Scream 2017 at Busch Gardens Tampa Bay runs 19 select nights beginning Friday, September 22nd and wraps up Sunday, October 29th. 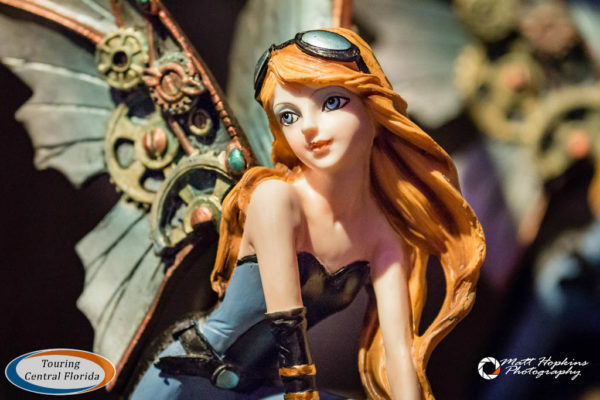 For more details, be sure to check out our in-depth preview article coming soon! 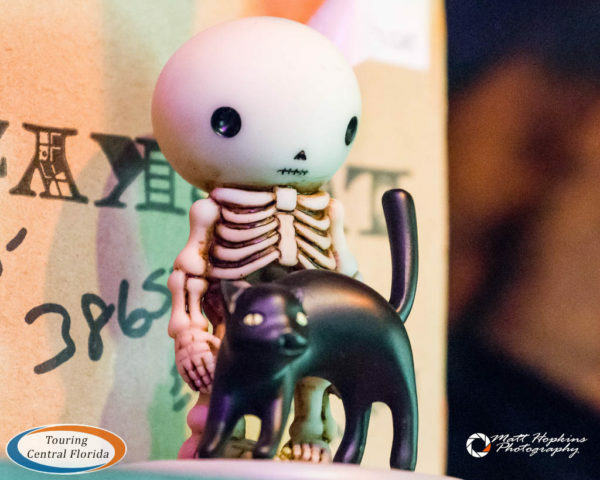 Join in the conversation on social media by using #HowlOScream, #NowhereToHide, & #HOS17. 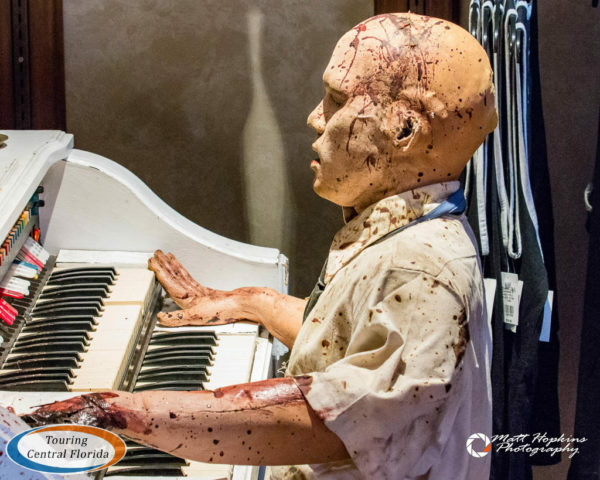 For the latest on Howl-O-Scream 2017 at Busch Gardens Tampa and other theme parks, attractions, dining venues and more across the region, be sure to follow Touring Central Florida on twitter @TourCentralFL & @androckb, and give our facebook page a like.